Associate Dean of Equity Amy Zavadil, photographed at an SGA meeting earlier this semester, is involved in Barnard's Title IX grievance procedure. Barnard administrators clarified key components of its Title IX Grievance Procedure for the first time to Spectator, revealing marked differences from Columbia's policy. Barnard's policy calls for a single administrator, Associate Dean for Campus and Residential Life Annie Aversa, to serve as adjudicator, whereas a three-person hearing panel adjudicates cases at Columbia. Aversa also determines sanctions for a respondent found responsible. 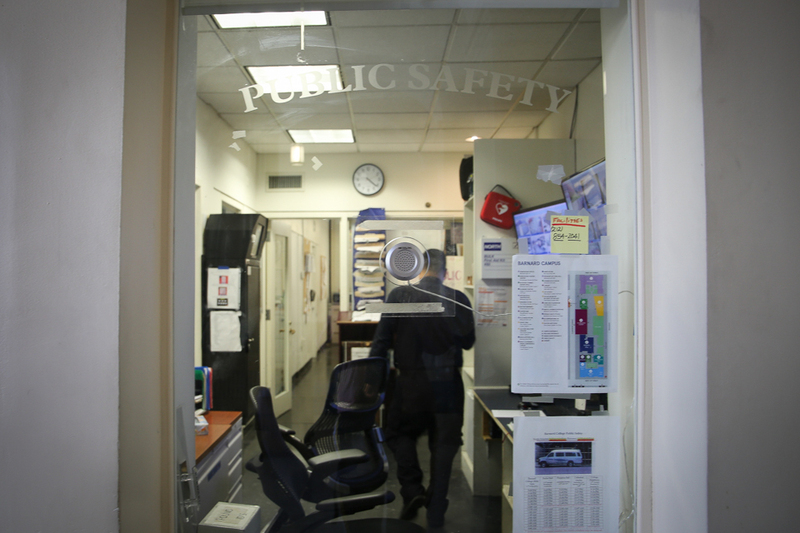 Columbia's policy calls for each school to appoint a separate sanctioning officer. This is the first time their roles in the process have been widely announced—Barnard's website omits this information. 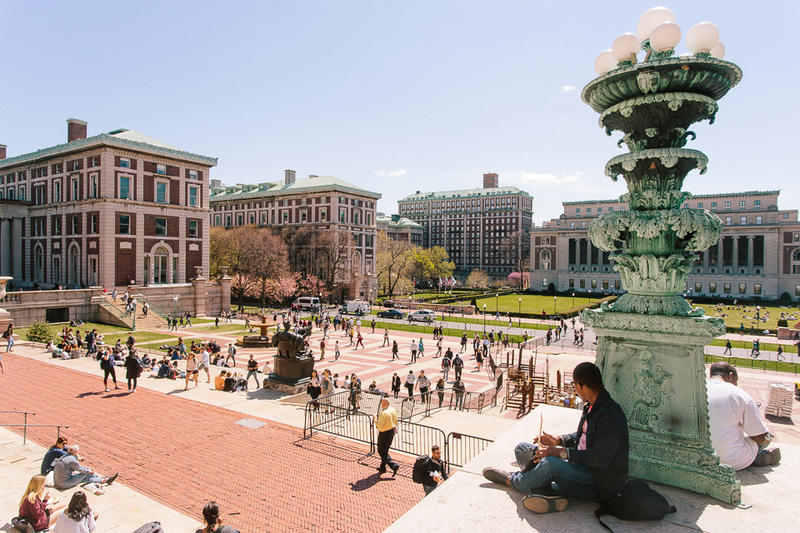 Columbia University's Title IX policy has been publicly scrutinized since 23 Columbia and Barnard students filed federal complaints against alleged violations of Title IX, Title II, and the Clery Act last April. 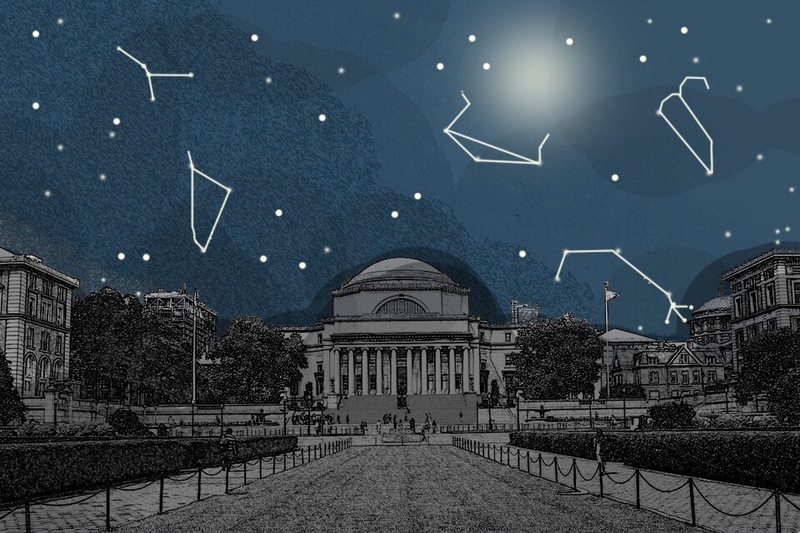 Most allegations of sexual assault are adjudicated at Columbia—Columbia's Office of Gender-Based Misconduct has jurisdiction over any case in which the complainant or respondent is a Columbia student. Barnard has not released aggregate data on sexual assault adjudication, though in September 2013, the Columbia University College Democrats sent a letter to the President's Advisory Committee on Sexual Assault asking for both Columbia and Barnard to make the data public. The University released its aggregate data on sexual assault adjudication last September. Still, Barnard's Title IX and Equity Resources office garnered attention when the Department of Education's Office for Civil Rights began investigating Barnard for possible violations of Title IX last December. Before a formal process begins, Barnard's Title IX Coordinator and Associate Dean for Equity Amy Zavadil, along with a second investigator, who can be an associate director for Residential Life & Housing, associate director of Public Safety, or from Human Resources, compiles a preliminary report for the adjudicator. The Title IX Coordinator decides, in consultation with investigators, whether there is sufficient information to begin a formal investigation. The adjudicator reviews the full report from the investigators and decides if the respondent is responsible for a violation of policy. 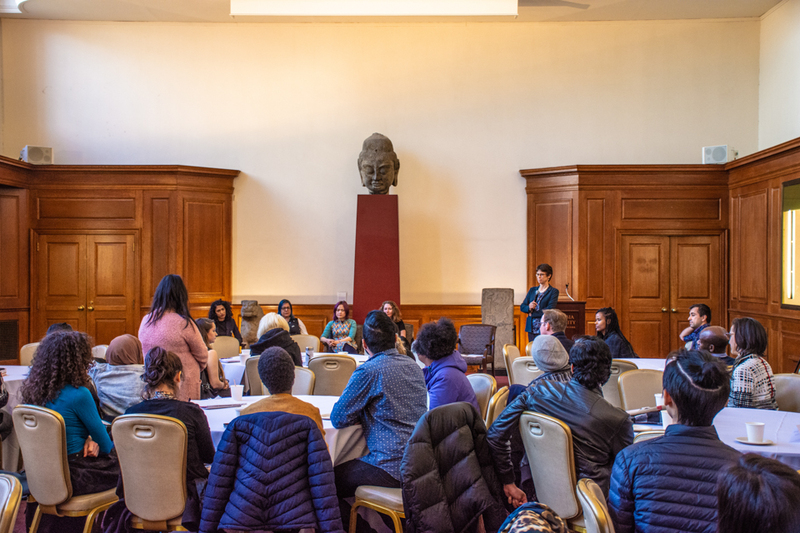 Investigators receive training from external groups including the Association of Title IX Administrators and D. Stafford and Associates, a consulting firm specializing in campus safety, along with internal training at Barnard. Annie Aversa, the associate dean for Campus and Residential Life, acts as the adjudicator for cases that involve students, unless she encounters a conflict of interest or is "absent and waiting for her return would unreasonably delay the process," according to Zavadil. In that case, another associate dean, such as Associate Dean for Student Life Alina Wong, would act as adjudicator. In appeals cases involving students, Dean of the College Avis Hinkson acts as the appeals officer. "The adjudicator is the final decision maker," Zavadil said. "So the investigator is pulling together all of the information and preparing the report. The adjudicator is the decision maker based on everything the investigator has found and documented—is it more likely or not that it occurred, and if yes, what are the sanctions?" But some students find it concerning that under Barnard's policy, a single person in Residential Life is given the power to both find students responsible of gender-based misconduct and impose sanctions. "If a friend was sexually assaulted and they clearly needed help, you would not send them to a Residential Life person for counseling support. You would send them to someone with years of professional experience and expertise for counseling," Zoe Ridolfi-Starr, CC '15, and an organizer of No Red Tape, said. "So it's absurd that we give random deans from ResLife and administrators who have zero expertise in this area the tremendous responsibility of both affecting the validity of claims of gender-based violence and then determining the outcome of students found responsible. I think it's idiocy." Ridolfi-Starr added that Dean of Undergraduate Student Life Cristen Kromm, who previously held the position of Associate Dean of Residential Programs at Columbia, now serves as the sanctioning officer for Columbia College and the School of Engineering and Applied Science. Sejal Singh, CC '15 and a member of the Coalition Against Sexual Violence, said that entrusting a single person to make such complex and important decisions is problematic. "This is obviously an extremely complicated issue and we think that the people making these decisions should have a strong background in understanding sexual violence, a legal background, and I'm concerned that someone in Residential Life that may receive some level of training from the University may simply not have the level of expertise that they would need to make a decision about sanctioning and about whether or not a person is guilty," Singh said. "I'm even more concerned that there's only one person as opposed to a group of people who can consider the facts before them and make a decision after a discussion." At Columbia, cases are heard by a three-person panel comprised of University administrators from Student Affairs, none of whom are from the school of either the complainant or respondent. Panelists receive training from "experts in the field at least once a year," including sensitivity training, according to Columbia's Gender-Based Misconduct Policy. In certain instances, panel members may include retired judges or lawyers. The panel determines if the respondent is responsible for a violation of the policy. If the panel finds the respondent responsible, the sanctioning officer appointed by each school will determine and impose sanctions. Like at Barnard, the appeal process at Columbia remains under the purview of the dean. 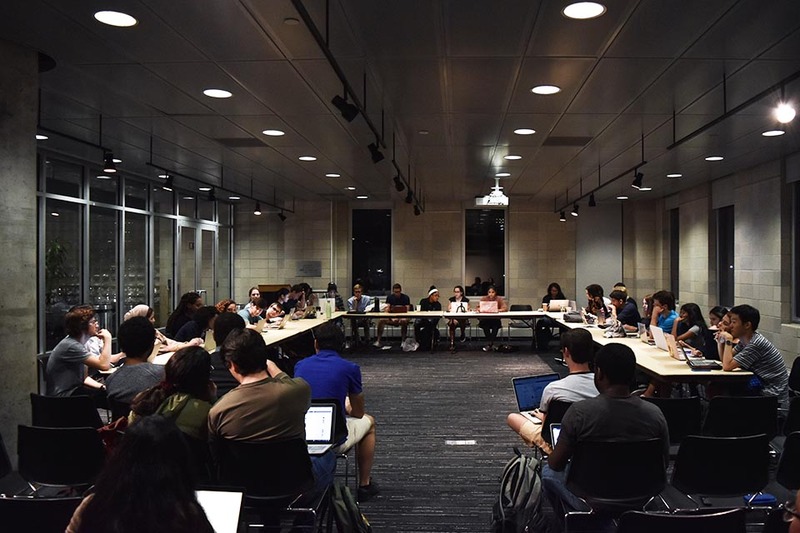 Some students have expressed concern about the potentially conflicting responsibilities deans hold as adjudicators—a complaint students at Columbia have also drawn attention to. "Concerns have been raised consistently about having deans on both sides of the street to adjudicate these cases because of conflicts of interest, especially when that process isn't transparent," Caitlin Lowell, CC '15 and a member of CASV, said. Hinkson said that she didn't feel her dual roles as dean and as an appeals officer created a conflict of interest. 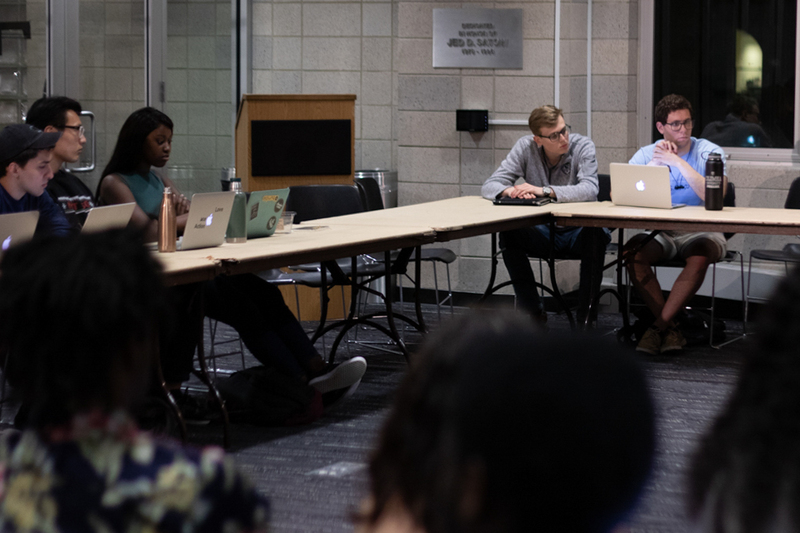 "It is my responsibility to approach that process in a way that is equitable and in a way that takes into consideration the needs of that student or group of students as well as the college," Hinkson said. "So I feel that so much inherent in the dean's job is the holding of multiple responsibilities at the same time and making the best decision that one can." Barnard's Title IX office only leads investigations when both the complainant and respondent are Barnard affiliates. If either party is a Columbia student, the case falls under the jurisdiction of the Columbia Office of Gender-Based Misconduct. "If a matter is between students under the University umbrella, it applies to us and Teachers College, as a first mechanism," Zavadil said of Columbia's gender-based misconduct policy. 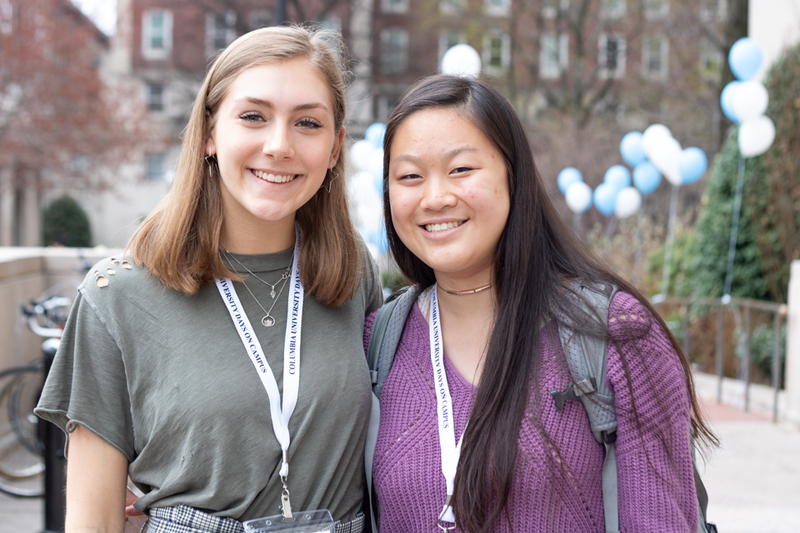 In situations that involve a Columbia student, accommodations are available to Barnard students through Barnard's Title IX office, even if they choose not to enter the disciplinary process with Columbia's Office of Gender-Based Misconduct. Those accommodations can include moving the student's housing assignment and issuing a no-contact directive. Singh said that Barnard's inability to adjudicate their students' cases involving Columbia students is problematic. "Barnard students might feel like they're on away turf if they have to go through Columbia's process—the fact that any drop of Columbia blood needs to go through the Columbia process makes it feel like the decision-making is being taken away from them," Singh said. Another determination for which the office investigates an incident is where the alleged violation took place. In Barnard's Grievance Procedure, the college is responsible for incidents that occurred "on campus." According to Zavadil, Barnard's definition of campus is "ownership by the college or leased by the college for primarily educational purposes," including all residence halls or floors in buildings that are leased by the college. If an incident occurs on Columbia's campus between two Barnard students, then it is discussed between the two schools whether or not Barnard's office will lead the investigation. While each party in a case is not allowed to have a lawyer formally represent them, they are allowed one support person who may be an attorney. This support person is not allowed to speak for either party, but he or she is allowed to speak to their client or converse privately during the procedures. The role of this support person must be decided before the case begins, and the other party is informed if an individual chooses to have an attorney act as a support person. There is also no formal mechanism for a Barnard student who cannot afford an attorney to obtain representation, but the Title IX office will offer referrals for students seeking representation. "It is in everybody's best interest if we can work together and figure out how we can do what we need to do, but also allow the attorney and their client to do what it is they need to do without impeding the process," Zavadil said. But this limit of one support person raises concern for some students. "A person should be able to have emotional support and legal support in the same room with them going through a process that is totally emotionally and legally quite difficult," Michela Weihl, BC '17, and a member of No Red Tape said. Correction: An earlier version of this story stated that the adjudicator ultimately decides both whether or not to begin a formal investigation and if the respondent is responsible for a violation of the policy. In fact, the Title IX investigator decides in conjunction with investigators whether to begin an investigation, and the adjudicator determines whether the respondent is responsible of violating the policy.